Declare Your Allegiance! The Battle for Azeroth has begun! Order the Swiftpoint Z with our custom made WoW profile - get setup and ready to raid Uldir with new loot! The Battle For Azeroth with Epic Gear Starts here! 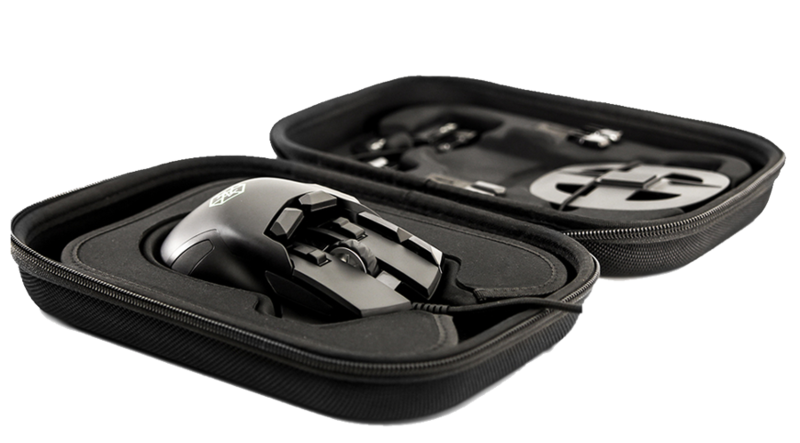 How is this the best MMO Mouse for Wow? 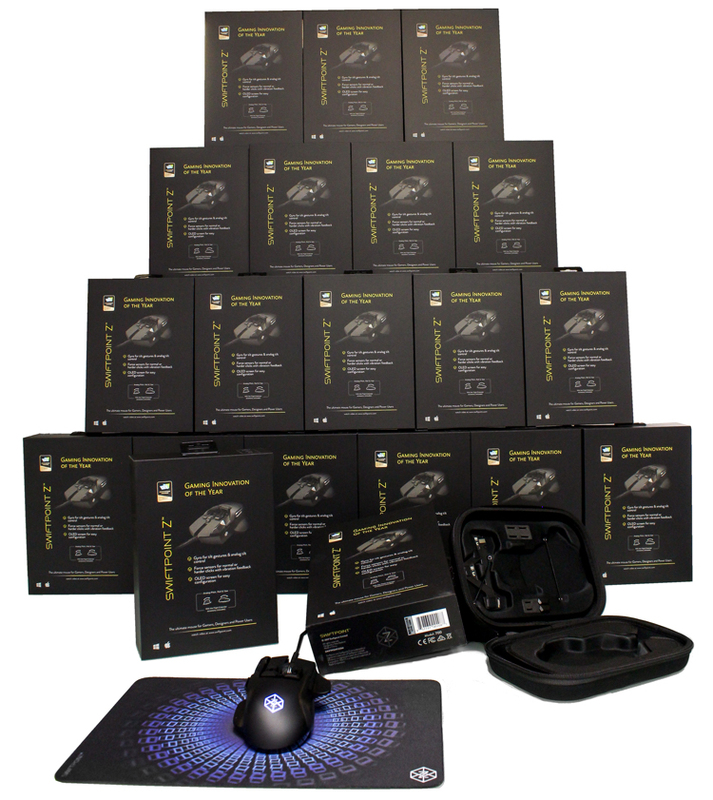 If you’re searching for the best MMO mouse for WOW you’ve found it. But don’t take our word for it, we have the Tank from Limit and the healer from Method backing this piece of tech. 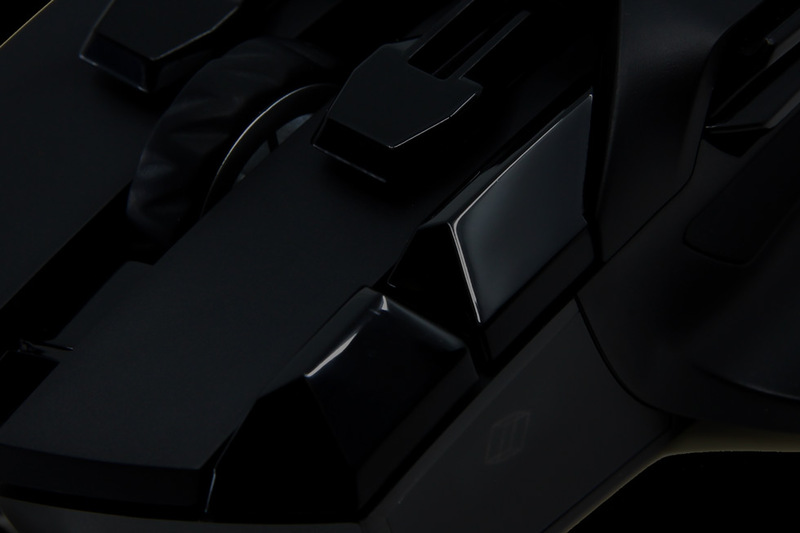 Customizing a MMO mouse is a pain so we’ve taken care of that. Simply order the mouse, put your old MMO mouse on the shelf and import the WoW profile and get ready for the battle. 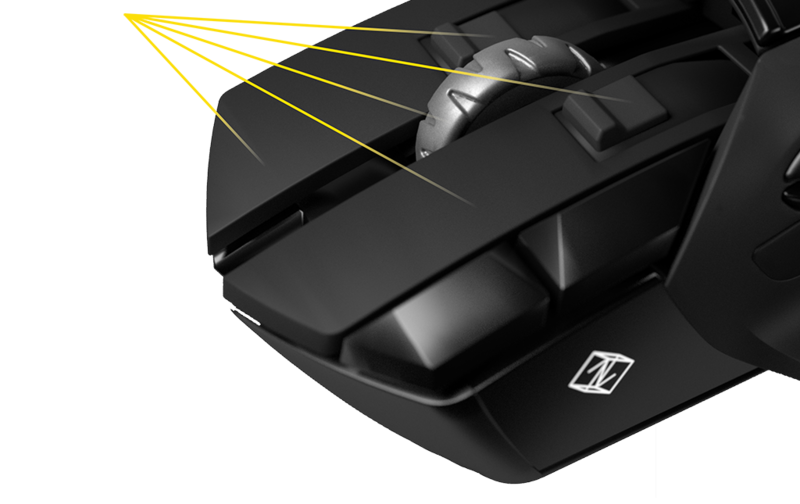 The Swiftpoint Z is an award-winning gaming mouse packed full of features, but the epic power comes from its customization, ergonomics and button actions. 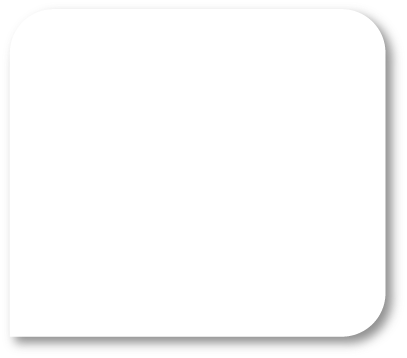 The profile we've created is a template for you to use. Simply load it, give it a go and then adjust to fit your game style. The hard work is done for you leaving you time to focus on the boss mechanics. I'm really enjoying this mouse, the clicks are much crisper, the extra buttons and specifically where they are placed are great keybinds for healing. The driver program is like 1000x better than corsair or naga the ability to click the button on the mouse in the GUI makes life a lot easier! First glance, looks like something out of transformers! But thats dope af. The Z has uniquely positioned buttons. It's easier if we quickly show you. Hit play on this clip and see what your first finger can achieve. But it goes deeper than this too.. Okay, so using just your primary index finger. You have your edge buttons, your main click, your finger tip button, the trigger pull back button and the underside button. All of these can and will be linked to skills and talents you commonly use in your rotations. That is going to simplfy the use of your keyboard and put those talents and trinkets in a better place. The button placement and customization of those buttons is why the Z is the new MMO mouse of choice for WoW. Consider these options. Using your thumb buttons or any buttons as modifiers, you can assign a combination of actions. Press the bottom thumb button and while holding that down click any of the buttons on the mouse to perform an action. A priest might use flash heal by hitting a fingertip button, but perform a Greater Heal when modified with the thumb button. Everything can be customized, tuned and adapted to suit your play style. You can create a profile for your main and your alts, and any other game you play. Buttons also can have a release action. So not only a button press, but an action on release. This is perfect for chaining dots or hots especially when you can set the exact time in milliseconds, optimizing the output of your class and their skills. If you're a priest and have been ganked by a rogue. You can pick a button or action to set up a string of skills and talents in times of life or death. Execute Macro's - Spam your cooldowns, the power to do whatever you want. The main left and right buttons and two fingertip buttons can activate a Deep Click. The Z has the ability to setup and customize deep clicks. This allows for a massive range of options for those that want to take their rotations to that next level. But once again it's easier if we quickly show you. Hit play on this clip and notice the OLED screen providing real time feedback which will ultimately help you decide how hard you want to push to activate an assigned action. You can use a normal click for a common action and then click harder to launch an ability with a cool down... Lots of options! Deep Click. This is where having extra buttons placed around your fingers goes to the next level and unlocks potentially 20 button actions. You can set a button action to a set amount of pressure. Lets take a simple in game action. E.G getting on your mount: Set your right fingertip button to mount up at 75% which is quite a lot of force. You won't accidently activate this during a fight, not that you can anyway, but 75% deep click is an action you quickly associate and you can choose which button you want this to activate on. Using deep click with the 4 main buttons will fast become your go to for actions that require a conscious push. Deep Click can be setup to execute macro's - or spam your survival cool downs. The Battle For Azeroth Deal. Save Over 40% On The Best Deal! Send us a quick message and we will follow up with you! Would you like a Raid / Guild Pack at the Best Price? 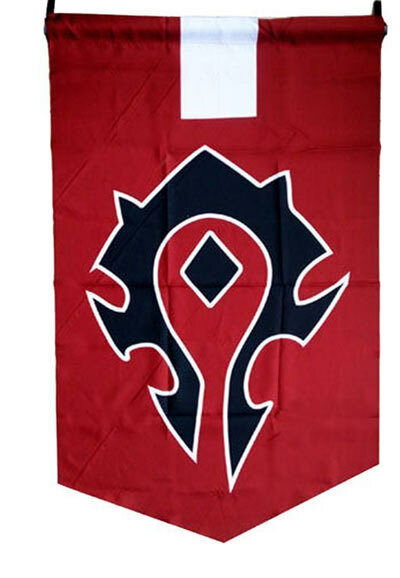 Guilds and Raids can pre-order 20 Swiftpoint Z's and get the absolute best price on offer! If you are buying as part of a guild, we can provide you with an exclusive coupon code for your players. Dan or Dave from Swiftpoint will email you in the next 24 hours to give you the details! After you order you'll have 30 days to try it out. If you decide it's not for you, for ANY reason, then just contact the customer support team for a full refund. No Questions. No Hassles. Just contact us at support@swiftpoint.com. It’s that simple. Please contact customer support at support@swiftpoint.com, and we will try and resolve the issue! Download and import profiles that are custom built by the experts, and be ready to go live! Be part of the community and upload and share your class profiles with other guild members. Download and upload profiles for WoW and other games. 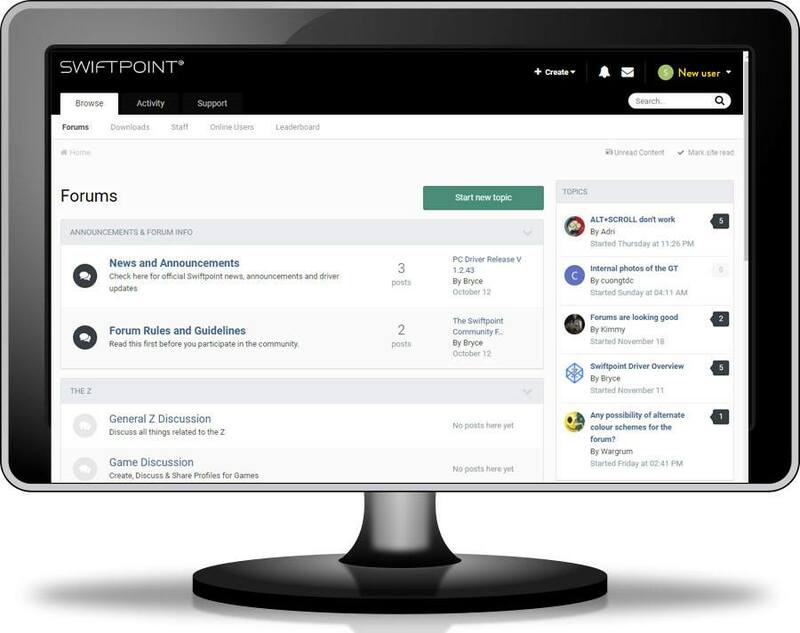 Join the discussion for other games and find the best ways to improve game play. How much does the Swiftpoint Z weigh? What type of scroll wheel does the Swiftpoint Z use, and how do you scroll left and right? We use a high-end mechanical scroll wheel with precise incremental clicks. By tilting The Z slightly to the right you can move the mouse for free-form smooth scrolling, not just up / down, but also left and right, to navigate to any part of a document (including to the start or end of the page). 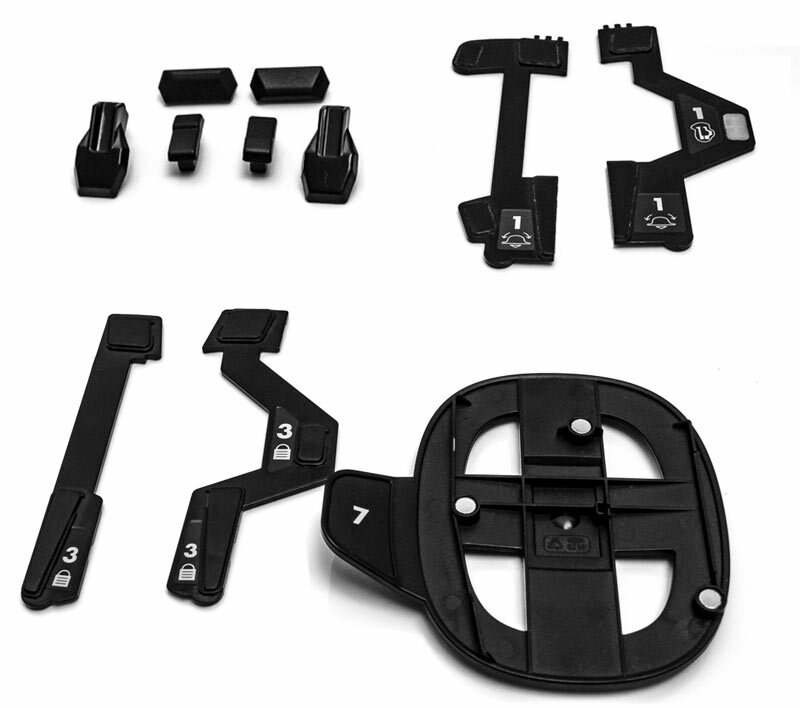 The Z is compatible with all games and applications. You can map any button click, tilt gesture or pivot gesture to a keyboard combination that the application uses. Is there a wireless version of the Z available? What is the warranty period on the Z? Is there a left handed version available? No, we've opted to stick with wired to minimize latency and battery issues. The Z comes with a 3 year manufacturer’s warranty. We don't see it as 'just a mouse'... more as a precision tool for design professionals and gamers - as such the build quality will be of the absolutely the highest standard. 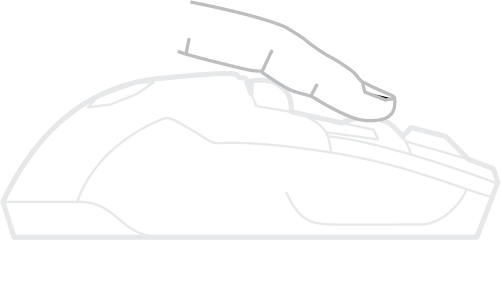 No – the mouse is designed for optimal ergonomic use in the right hand. One of our team is left-handed and uses the Z successfully, but we recommend right hand use. Can you create and share profiles? Use the powerful PC Driver to create profiles for all of your favorite games and applications. Profiles can be imported and exported to share with the community of Swiftpoint Z owners.